“CORSAIRS OF MALTA TOURS “ NOW HAPPENING IN VALLETTA!! Malta’s Maritime History is a forgotten action-packed adventure of survival, brutality, passion, exotic delicacies and much more. 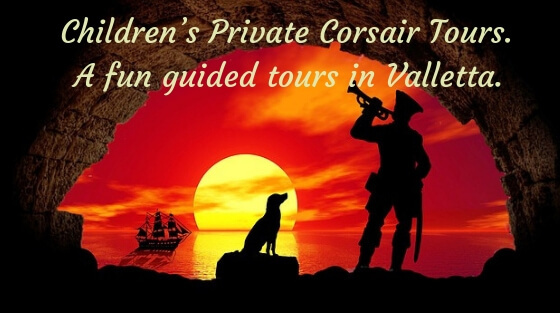 Children’s Private Corsair Tours. A fun guided tours in Valletta. “Let us make future generation remember us as proud ancestors just as, today we remember our forefathers” Roh moo-hyun. The reason behind the creation of Furban Malti and now“Corsairs of Malta” guided Tours in Valletta, was the result of a major disappointment in Maltese History. Or rather… disappointment on the particular selection of History and stories were given importance. As you have already gathered we do guided tours in Valletta. 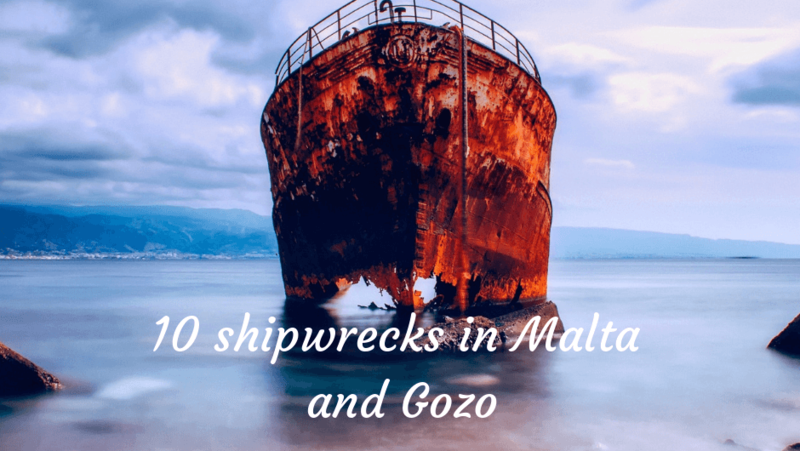 Specifically about secret and notorious part of Malta’s Corsairs and “Licensed Piracy”. A rich topic barely mentioned at Schools (or not taught at all in my time). In a fun and interactive way, we reveal this little known maritime history of our Maltese Corsairs and Piracy in Malta through educational guided walking tours in Valletta. Now, to also ensure our younger generation can learn about this adventurous part of our History. Basically, the adult versions of our current tours BUT adapted and tweaked for all ages. Delivered in such manner adults and accompanying the children will be entertained as to discover new stuff about Malta’s History to make it an outing like none other! In Malta, we have heard many tales about “Il-Furbani Torok” (Ottoman and Barbary Corsairs), what we don’t hear... Is the Maltese Corsairs (Furbani Maltin) were just as feared! Perhaps worse! What is perhaps even more interesting is many customs, values and certain sayings we use in Malta on a daily basis. Still, all originate from this Maritime past. This cultural and social aspect is also what we aim to share and highlight through our guided tours in Valletta both for adults and well as for children. So whether you’re a school, youth group or scout group, we will be thrilled to organize a Corsair Tour! Top 5 things to do in Sliema. Top 5 things to do in Sliema. Like Valletta, the town of Sliema is one of the busiest places on the island. Although Valletta is richer in history, Sliema is the trendier part of the island, where you’ll find plenty of things to do and see. Sliema is at the east, with Valletta on the south, and the party part of Malta, St. Julians to the north. It's the best place to book your hotel as you’ll be in the middle of all the Fun. Shopping It's a shopaholic dream with shops from the high street brands like New Look and Topshop to Designer brands such as Ted Baker. There are two shopping complexes, the Point, and Plaza to burn that wallet of yours. Eating out. After you have shopped till you dropped, the hunger will start to kick in and Sliema is filled with restaurants that offer good food. Our recommendation is the Chop House in the Point, this restaurant has the view of Valletta (See pic). Doesn’t that view make you want to wine and dine? Sunbathing and swimming. Anywhere you look in Malta you’re going to be surrounded by sea and Sliema is no less. If you’re visiting Malta in Summer and you’ll be staying in Sliema, pack your swimming suit as the beach of Qui Si-Sana and Exiles are only mere minutes walk. You can work on that tan, don’t forget to pack your sunscreen while at it. If it gets too hot (which it does) you can always take a dip in our beautiful Mediterranean sea. Go for walks. Sliema offers plenty of space for you to stretch those legs and enjoy a stroll in the evening chill. Private Tour Malta – Bachelors and Stag Do Sea, Sun and Pirates! Welcome to Malta! Ahoy their shipmate, the first part of your adventure has begun! Are you visiting our tiny island of Malta for a Stag do with the lads? Give your matey an event to remember. Treat your Bachelor to a “Pirate Guided Tour” in Valletta during one of our special Corsairs of Malta Tours. Let him relish his last moments of Freedom on a pirate tour! My name is Chris Schembri, a tourist guide by profession for over twelve years. Although, during the tours, you will address me as “Xandru”. A fictional Maltese Corsair and lieutenant in the feared Maltese Corsair Fleet. Experience Malta’s best-kept secrets and tales of desire in an interactive way, with of course a dash of humor, that will keep you intrigued throughout! Do you want to enjoy some drinks throughout the walking tour? Hell yeah, it is a bachelor and a “pirate” tour after all! I can easily arrange a couple of Bar stops, perhaps time for some nibbles at some excellent locations throughout the Tour and finish the tour at “The Pub”, where renowned English actor Oliver Read literally had his last drink, whilst filming Gladiator in Malta. A proper Pirate! 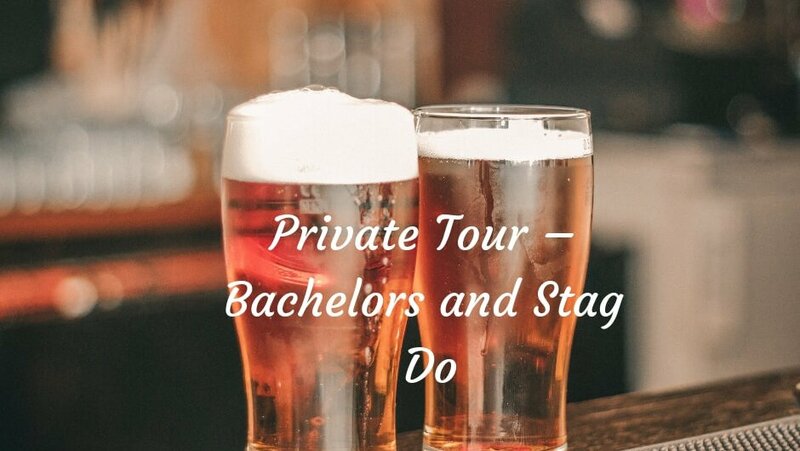 In addition, treat yourselves to one of our tours, take the mickey out of your stag and have a couple of drinks along the way. Firstly, Listen to the only tales worth hearing as every majestic building in Valletta we will pass by….from Merchants street and more will show “Piracy” in Malta was well-organized industry…and NOT you’re mainstream “Pirates of the Caribbean”. Witness in awe at the bloody events, pleasures of the flesh, crafty and fiendish schemes which took place at these locations! Top 5 things to do in Malta in winter. Top 5 things to do in Malta in winter. Our island is surrounded by sea and some would think it’s better visiting during the summer. Beware! We have a cruel summer here with temperatures, rising up to 40 C so pick your dates carefully. On the other hand, visiting in Winter, Malta will be quiet, unlike Summer where there would be a lot of festivities going on. Here we list our top 5 things to do in Malta during the winter. 1. Hikes. To make yourself active and enjoy the nature that Malta has to offer, hiking is a good place to start. You can go to Imtahleb which is in the whereabouts of Rabat. Or hike along the Ghajn Tuffieha area, where you can find three popular bays all next to each other; Gnejna, Rivera, Golden Bay without the umbrellas, sunbed and the crowds of summer. 2. Picnics. Should You find yourself with nothing to do? (Impossible we might be small but there is a lot to see), check these posts here if you’re running out of ideas. You can also go to Buskett, go for a walk and crack open a bottle of wine… and a Maltese ftira, of course, While you’re there go and take a look at Palazzo Verdala. PS it’s haunted shhhh…. 3. Go for a Cocktails In Malta, we always find ways to enjoy ourselves and although cocktails are associated with summer, we like to party all year round. So if you’re thirsty from all the sight-seeing you can always grab a cocktail or two…using the many offers of buy 1 get free! 4. Camping. Another thing to do in Malta in winter is camping. Where?